Technical devices such as algorithms, databases, and robots mediate the production of (in)security and the conduct of war; ‘non-places’ such as financial markets remap and reshape the exercise of state sovereignty; previously established distributions such as between ‘private’ and ‘public’ entities are increasingly entangled in hybrid assemblages. These and other heterogeneities of the international are part of a renewed focus on materialities and material practices in international relations (IR). World politics is thus increasingly recognized as involving the participation of multiplicities of heterogeneous elements, many of which were until now smoothened out in mainstream IR accounts. When IR researchers shift their analytical lenses, they bring into focus agencies and practices that actively contribute to the assembling of the international—in doing so, they intervene in, and reformulate some of, IR’s most classical concerns. Point of departure for this workshop is that dealing with such seemingly new world politics, and accounting for these constitutive heterogeneities, however remains a difficult challenge. The main goal of the event is to bring together researchers that, in different ways, depart from an understanding of IR premised on homogeneity and engage with entanglements and multiplicities that go beyond rational choice and inter-subjective social constructions. The ambition is to foster debates and exchanges on shared concerns with accounting for heterogeneities in the international. In particular, the aim of this event is to bring to the fore the potentialities and pitfalls of working with ‘thinking tools’ that hail from beyond the traditional disciplinary horizons of IR, such actor-network-theory (ANT), science, technology and society studies (STS), or performance theories. This event consists of two conference panels and a seminar. The seminar, structured around two sessions and a keynote speech, will take place on Monday the 22nd, the day after the Millennium Conference. Each conference panel revolves around a specific theme: first, symmetries in the international; and second, the black-boxing of security. The first panel—symmetries—opens up analysis of entanglements of discourse and practice, social and material, in the constitution of the international; the second panel—black-boxing—addresses the politics of ‘securitization’ from a different angle, focusing on the processes of silencing, stabilizing, and separating out people, flows, and practices. The participants are expected to contribute papers presenting their angle on, and use of, these concepts in relation to their own research. In order to foster a hybrid discussion, each panel will have two discussants, both an ‘outsider’ (from the fields of STS, ANT, or sociology) and a senior IR scholar discussing papers and presenting their understandings/applications of the notions at hand. The two conference panels will translate into two homonymous workshop sessions. The first panel opens up analysis of assemblages or entanglements of for instance, discourse and practice, social and material, human and technical in the constitution of the international. It opens up space for contributions specifically trying to create balanced accounts of international phenomena that can most fruitfully be approached as heterogeneous or constituted across the ontological divides that traditionally structure analysis of international relations. This second panel addresses the politics of ‘securitization’ from a different angle, focusing on the processes of silencing, stabilizing, and separating out people, flows, and practices. How do dominant security solutions and securitizations arise out of controversies and how are competing understandings, configurations and practices silenced and how are security practices themselves used to stabilize other assemblages? This second part of the event shifts the accent to ethical and methodological issues, that is, the question of how to account for heterogeneities. It will take the form of two roundtables connected to the homonymous panels in which participants (both previous paper-givers and discussants/chairs) will be asked to share and discuss their own hesitancies, their tactics and ploys when confronted with the challenge of writing accounts of heterogeneities in the international. The seminar additionally aims at addressing questions as: what are the limits of translating STS/ANT into new fields? Is critical engagement still possible when the starting point of the research is symmetry? How can we be reflexive (and do we need to be) with regard to the researcher’s own practices of translating, black-boxing and assembling? Participation to the seminar is open to all researchers participating to the Millennium conference. While presentations will trigger the debate among participants, the chairs will ensure that stimulating questions (and answers) coming from the public will not be lost. Seminar: How-to account for heterogeneities in the international? mutable, and we will adapt each to the types of submissions received. Sessions: On states, stateness and STS: Government(ality) with a small “g”? Description: The relationship between science, technology, and governance shapes and is shaped by states. While it has been influential in STS research on how modes of governance influence scientific practice and technological innovations, the converse question of the influence of both on governance is underrepresented. This panel explores the inter-play between this relationship and its depiction in social/political theory. We engage and question well-trodden artifacts of social and political theory such as state entitivity, state materiality, and the much distributed Foucauldian model of stateness. What does STS have to offer broader social and political theory devoted to the depiction and performance of political action? Likewise, what can STS learn from these traditions that have shaped previous research on state formation, degradation, and revision? Hence, we explore empirically and conceptually the possibilities of research based on an STS approach to politics, states and stateness, governance and governmentality. Just like early lab-studies came back from the lab to inform us empirically about science with a small “s”, an STS approach to states and stateness would be the attempt to study govern(mentality) with a small “g”: It looks at the many interwoven processes of designing, planning, maintaining and displacing the infrastructural setting of modern political practice as well as the re-assembling of the respective actors and entities. We propose an open panel, and anticipate two to three related sessions: we anticipate that one session focuses on conceptualization and theoretical approaches, dealing with the mechanisms and techniques of creating, maintaining and shifting the multiple ontologies of stateness. We also imagine that the additional sessions be devoted to papers that deliver a diverse set of case studies with empirical support on topics related to state ontology, state infrastructure, and techniques or practices of self-regulation under political (perhaps neoliberal) conditions. We have had some discussion on Transitions. This is an upcoming conference in that area. Preparations for the 2012 Digital Government Society Conference (dg.o 2012) are underway, and we would welcome your participation in the conference. This marks the 13th annual conference, demonstrating a strong and vibrant international community of research and practice. Taking place at the University of Maryland College Park June 4-7, 2012, the conference will bring together e-Government researchers and practitioners to explore cutting edge research and best practices regarding e-Government initiatives. Accepted papers are published in the ACM Proceedings Digital Library. Practice regarding e-Government projects, implementations, and initiatives that bring together the research and practitioner communities, demonstrate the effectiveness and/or challenges of e-Government, and offer best practices. Governments today face unprecedented opportunities and challenges. New technologies provide governments with the opportunity to redefine the relationship between government and the public that they serve, create innovative public services, provide customer-focused services, encourage transparency, promote participatory democracy, facilitate the co-design of services, form new partnerships in service delivery, streamline operations and reduce costs, and build trust in government. But harnessing and implementing technologies effectively raise a number of policy, technology, and governance challenges. This year, the conference program will focus on the ways governments and the e-Government research community can work collaboratively to leverage information and communication technologies as part of innovative and dynamic approaches to creating and implementing high quality, efficient, and effective e-Government. Research, practice, and collaboration submissions addressing this theme could include but are not limited to: social media and public participation in digital government; effective use of social media by governments; crowd sourcing for government decision making; transformative government; open and transparent government; models of collaboration among government, industry, NGOs, and citizens; data integration, visualizations, and analytics for government decision making; agile and flexible government; financial/economic/social policy making; government productivity and effectiveness; service quality and customer-centric e-Government; social and health infrastructure; global government collaboration models and practices; infrastructure for data sharing among government agencies; computing infrastructure models, cyber-security and project management; IT-enabled government management and operations, and interest in program execution; IT and tools to support government security; and methods to measure and evaluate success in e-Government. In addition, we welcome submissions from the broader domain of e-Government research. We invite completed research papers, papers describing management and practice, policy, and case studies, student research papers, on-going research posters, and live demonstrations that demonstrate the use of technology to promote innovative e-Government services. We particularly encourage submissions on interdisciplinary and crosscutting topics. We also encourage the submission of suggestions for panels, and pre-conference tutorials and workshops. More specific conference details are below. Just got that a few days ago and forgot to post it here – now as I am preparing for three weeks of “off-time” (meaning: a bit of traveling and weeks of being online only once every few days) I had to post it. Personal Health Record (PHR) has become a popular label to refer to a wide range of patient-controlled information systems aimed at allowing laypeople to access, manage, share and supplement their medical information. Launched in the US at the beginning of the new millennium, PHRs are spreading in Europe (especially in the UK and Scandinavia), where one witnesses an increasing number of experimental systems that vary to suit the local healthcare context. Nevertheless, these technologies appear to be in their infancy, as clearly demonstrated by the low rate of PHR actually implemented in real-life settings compared with the (relatively) high numbers of trials. Whilst there is still little evidence that PHRs may affect healthcare, they are regarded by different actors (policymakers, healthcare managers, patients’ association, doctors) as “holding out great promise” to revolutionize it by reducing medical errors, cutting costs, increasing patient awareness and control over their health, and providing physicians with information in emergency situations – to mention only some of the potential benefits. This new ‘patient role’, proactive and characterized by greater control and responsibility over one’s health, is reinforced by the very existence of an electronic tool, suggesting that these new activities require an information system somehow similar to those used by doctors. The name itself, PHR, recalls the acronyms for the standard healthcare systems – EHR (Electronic Health Record) and EPR (Electronic Patient Record) – and thus affirms that it belongs within the semantic space of professional tools. be considered an interesting lens through which social informatics researchers can examine the tentative transformation of different dimensions of the healthcare sector. We believe that the time has come to engage in debate on these technologies, which are increasingly presented by policymakers and healthcare systems managers as the “next big thing” in healthcare. It is necessary to move away from a mere technocentric perspective (like the one sometimes provided by medical informatics) in order to bring the actors, their work/daily practices, and the meanings attached to them, back into play. The purpose of this workshop is to gather together scholars, practitioners and professionals who reflect and work on PHR from different perspectives in different countries. Whilst some interesting socially-informed studies have been already presented and published, to our knowledge no attempt has yet been made to create an opportunity for dialogue among them. · the redefinition of responsibilities and roles within the network of patient-doctors-institution-caregivers. We plan to select the best abstracts and presentations and invite their development into full papers to be submitted for a special issue on the topic. Further information will be given during the workshop or before it on the website. Somatosphere just posted a link to a set of video recordings from the STS – The Next Twenty Years conference in Harvard last April. I would have loved to go there, but unfortunately poor european scholars only have money to travel abroad when they are participating actively. But, luckily, the whole conference was on live-stream back then. I was not able to watch all of it so I am so very happy to be able to watch them now. Trevor Pinch´s “provocations” are STS at its rhetorical best – so watch, laugh and think. I want to note the announcement of the annual ASA ScatterPlot Blogger Party! Details here. Short story: Sunday, August 21, 4:30pm at the Seahorse Lounge at Caesar’s Palace. I hope to see many of you there! Otherwise, I present a paper with Jan-Hendrik Passoth on state theory and another roundtable about state power (power being a dirty little word). Come say “hi” — I’ll be wearing the functionalism t-shirt and have even made one for Jan! Special Issue in Science Studies accepting papers on "Patient 2.0"
… been working to edit a special issue on “patient 2.0”. We are pleased to announce we’ve been hosted by Science Studies (http://www.sciencestudies.fi/) as guest editors of a forthcoming publication on the theme. The journal has a long-standing reputation for publishing high quality articles in the field of Science and Technology Studies since the end of eighties. Science Studies is an Open Access journal and we invite you to have a look at their last issue to better grasp the kind of submissions they welcome. The call for paper is in attach and, as you will notice, it is an evolution of the track’s cfp. (the call is also available online at http://www.sciencestudies.fi/node/2070). If you have not already published your work elsewhere we encourage you to submit your paper for evaluation before 31 January 2012. Of course you are free to submit a completely new work as far as it is consistent with the call. All the papers will be anonymously reviewed and evaluated jointly with the editorial board of the journal. W’ere reviewing papers now for the Third International Conference on Social Informatics (SocInfo’11). The organizers, Singapore Management University, host on 6 – 8 October, 2011. The third international Social Informatics conference will attempt to create an interdisciplinary community of researchers interested in the interactions between the information system and society. Information scientists working on ways to analyze and improve information systems from the point of view of realizing social goals are invited to participate. The International Conference on Social Informatics was first held in Warsaw, Poland in 2009, followed by Laxenburg Austria in 2010. SocInfo2011 will be held in Singapore, a major hub in the Asia Pacific region well known for its multi-racial and multi-cultural society. Both SocInfo2009 and SocInfo2010 were small meetings that covered mainly the computing perspective of social informatics. This will change at SocInfo2011, which aims to broaden the scope of social informatics while reaching out to diverse researchers worldwide. The mission of SocInfo2011 is to make the conference a premier venue for both social and computer scientists to exchange the latest research ideas that better intergrate scholars from the two disciplines. The conference program will reflect this in the keynote talks, tutorials, workshops and paper sessions addressing emerging topics which attract interdisciplinary research attention. For the first time, the conference has a strong representation of social science researchers. Both the organizing committee and program committee have diverse discoplinary representation. The committees are actively seeking papers covering a wide spread of topics and approaches. SocInfo2011 is supported by the International Communication Association (ICA) and Singapore Infocomm Technology Federation (SiTF). SocInfo2011 also welcomes industry particpation by giving demos and poster presentations. Other than serious research exchanges, SocInfo2011 will offer a social program for participants to know one another better, to visit some places of interest and to appreciate the local delicacies. With a good combination of work and fun, SocInfo2011 hopes to foster collaboration among the social informatics researchers as well as to demonstrate the relevance of their research to a wider community. … it is time to pay for registration, or our papers might get passed-up for the meeting in Sin City (Las Vegas). Cleveland, we are coming! Nicholas and I submitted a proposal for a double session on “Seeing States and State Theory in STS” for the next annual meeting of the Society for the Social Studies of Science (4S) in Cleveland, OH. The conference will be held from the 2-5 November, co-located with the History of Science Society and the Society for the History of Technology. The committee just approved our proposal: this is going to be great! Here is the preliminary program, we keep you updated! The relationship between science, technology, and governance is a relationship that shapes and is shaped by contemporary states. While this relationship has been influential in STS research on how contemporary modes of governance influence scientific practice and technological innovations, the converse question of the influence of both on governance is relatively underrepresented. This session, therefore, takes-up the task and explores the inter-play between this relationship and its depiction in history and social/political theory. With one eye on “seeing like a state” and the other eye on “state performativity,” we engage and question well-trodden artifacts of historical and social theory such as state entitivity, state materiality, and the much distributed Foucauldian model of stateness. Looking for insights in both directions, what does STS have to offer and learn from these important traditions that have shaped so much previous research? We are also curious about seeing state performances in some historical relief, for example, in establishing reciprocity under neo-liberal circumstances, in shifting ontologies of health care, in massive state projects such as California’s delta, and even in times of ungoverned anarchy set in Southeast Asia. We, therefore, invite papers that explore empirically and conceptually the possibilities of research based on an STS approach to politics, states and stateness, governance and governmentality. We propose a double session: the first session is focusing on conceptualization and theoretical approaches, dealing mostly with the mechanisms and techniques of creating, maintaining and shifting the multiple ontologies of stateness. The second session is presenting a series of five case studies on the role of conflict, measurement and performativity for the enactment of stateness, drawing from rich empirical projects. Unfortunatly there is not much to report form the world of STS right now: all email-lists are silent, 4S proposals are send out, EASST is missing this year. But time is a scarce resource these days, so I don´t mind. Since I run from workshop to workshop, from conference to conference these weeks, I wonder how conferences get scheduled. Nicholas comment to the Stengers workshop (“Why not in the summe?”) made me aware that also in here in old Europe most academic gatherings are all taking place exactly when our schedules are already full. Take these weeks: it is the beginning of the summer term here in Germany, and I travel to two different places to meet people each week. I wonder why? 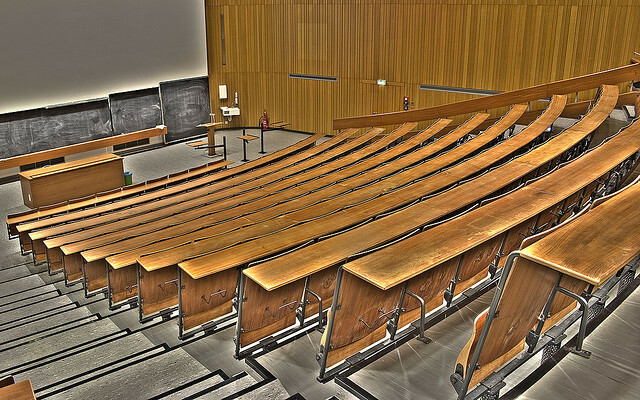 How does the practice of scheduling academic gatherings work? Are there mechanisms, strategies and tactics I don´t get? Jan-Hendrik and I recently wrote a paper to align with a conference theme and a proposed papers session — what a mistake. Thankfully, we also submitted a sort of “back-up” paper should the first fall on hard times. The conference is always rather large so perhaps we should have known better than to fall prey to the theme and/or take the theme seriously. Still, when we got the call for papers and read the theme, it is hard to ignore (at least in a way) because it has an feeling of legitimacy, it feels (when you’re actually taking it seriously) as if it just might be meaningful, and if it is, then you just might land a better session spot if you bend your work to the theme. Again, we were wrong, falling prey to the (awkward) siren song of conference calls. So, themes: this is a fairly straight forward empirical question — under what circumstances do themes shape conferences? The answer to a question like this we probabaly all have a “good hunch” but I’d be curious to see data. Just stumbled upon this: why do announcements of such event always reach me when it is far too late? To be able to travel overseas – we in Germany at least – need more than four months to apply for funding. Two weeks is definitely not enough. But: there is a Twitter-feed to follow! And the conference will be video-streamed! This meeting is the product of a year of conversations across several continents and dozens of institutions. It weaves together the hopes, aspirations, and—yes—frustrations of STS scholars from around the world who have committed their careers to studying the central role of science and technology in our social, political, and moral lives. Overall, this is a meeting to rethink questions that all STS scholars have grappled with at some point in their intellectual lives. Why do STS? What makes it interesting, distinctive, coherent, relevant, and deserving of stronger institutionalization? This meeting—diverse enough to be representative, yet small enough to foster conversation—offers a rare opportunity to think together about these issues, in the company of others who share our concerns and our convictions. By the way: do you think that the lack of involvement of european scholars has a deeper reason that just missing funding for travel? After proposing my first session at a conference with Jan-Hendrik, and, in particular, after his recent post about a forthcoming conference at LSE and Hendrik’s reflections about this year’s ISA annual meeting, I started to wonder if anyone writes on how to make conferences better? This reminds me of something I have always wanted to know more people’s opinions on: WHAT MAKE A GOOD CONFERENCE GOOD AND WHAT MAKES A BAD CONFERENCE BAD??? Seriously, I have been to so many conferences and sometimes they are outstanding (networking opportunities, good papers, etc.) and sometimes they are terrible (poor attendance, bad food, etc.). Perhaps this is one of the characteristics: too many off-topic scholars as a ratio to on-topic scholars (in your case, all social studies of X with out any sociology of financial market folks). This should be an ongoing blog topic: WHAT MAKE A GOOD CONFERENCE GOOD AND WHAT MAKES A BAD CONFERENCE BAD? I wonder: What makes a good conference good? What makes a bad conference bad? Best conference of the last year, hands down, was EASST (European Association for the Study of Science and Technology) set in Trento, IT, summer 2010. Why? It was set in Trento amid the Dolomite Mountains. I was “forced” to visit Verona and the greater Veneto (in particular, Valpolicella wine country, home to Bertani, perhaps my favorite winery) after the conference and Milano before the conference. Still, what made this conference so wonderful was the carefully put together sessions — the dual session on health technologies that Jan and I participated in was just great and also where I first met Wouter Mensink and learned about his exciting work on eHealth. The building too was fantastic — the views out the window were great, but not distracting because the infrastructure was fantastic; great projectors, large clear images, good spaces, good seating, etc. Likewise, the sessions on IT put together by my the bright and friendly Gian Marco Compagnola, which featured papers from among others Neil Pollock and Antonios Kaniakakis. Dare I also say that the food, which can be doubly attributed, both to EASST administrators and the the great University of Trento, was unlike anything I have ever seen at a conference — and better than any food I will likely see at any future conference. What can be learend from this? A. Good setting — something about how embedding the conference in a particular location or setting influences attendance and expectations. B. Careful planners — getting good people to organize sessions is no easy task, although there are few incentives to do this really well, unless I am missing something. C. Excellent food — this is, frankly, something more conferences should think about. I remember saying to Jan, jokingly, the food was so good it actually helped us to think more clearly (although that might have been counteracted by the wine available with lunch). Also, there was day-long excellent Italian coffee available. So, what else makes a good conference good? And, dare we discuss: what makes a bad one bad? STS Italia, the Italian Society for the Study of Science and Technology – in collaboration with the University of Sassari, Faculty of Political Sciences and Faculty of Architecture – invites you to join the Summer School “Cities, Infrastructures, Networks”, to be heldin Alghero, Sardinia (Italy), from 28th of June to 1st of July 2011. Applications deadline: 15th of April 2011. Probably for most outside the UK this might be a bit late, but I just stumbled upon the SSIT Open Research Forum 7. Seven – I mean: they did that now for six times and I had no idea that a “Social Studies of IT” (with that name) even existed. Wonder why – because I found this announcement via the ANTHEM Blog of which I am a regular reader for more that 3 years now. So I should have seen this or this. The SSIT Forums are hosted by the LSE Information Systems and Innovation Group, definitly a place to watch. But looking at the abstracts of their 7th Forum on IT and the financial crisis I wondered: how can a forum that adopts the “social studies of —” title gather people to talk about finance, crisis and IT without any recognizable input from another “social studies of —” field, namely the “social studies of finance”? We are pleased to announce details of the Social Study of IT Open Research Forum (SSIT-ORF7), 29/30 March 2011. This will follow the eleventh SSIT Workshop of the LSE ISI Group. The Open Research Forum will be an opportunity for IS researchers to present their work and discuss a broad range of themes relating to the SSIT in an informal, constructive setting. Primarily, the Forum provides an ideal opportunity for PhD and junior IS researchers to present their work and raise questions on issues of their concern-substantive, theoretical, methodological or practical. It is also a useful experience for other researchers wishing to understand what SSIT is like, though their research approach may be different – e.g. from an engineering or business perspective. In previous years the Forum attracted also experienced SSIT researchers, supervisors and PhD programme directors and we had stimulating discussions about the merits and challenges of SSIT research. We expect that this year the Forum will have a similar mix of PhD, experienced and non-SSIT researchers and that it will accommodate challenging discussions on the nature of SSIT. Another significant feature of the SSIT-ORF is its informality. So, we suggest that presenters avoid PowerPoint presentations or the use of transparencies. There will be a number of short presentations (about 10 minutes) and panel discussions with plenty of time to focus on emerging questions and issues. Registrations for the SSIT-ORF are currently taking place. Those who are interested in presenting should send a summary (up to 600 words) of their work to SSITORF@lse.ac.uk. Those who are interested in participating without a presentation should apply for attendance at the same email address. As space is limited, places will be allocated on a first come, first served basis. Looking forward to meeting you at LSE in March. Back in January when Nicholas and I started thinking about the 4S Session proposal, we also thought about a way to keep the debatte running after 4S. One Idea we came up with was a small series of workshops that could facilitate the discussion on “STS and the State” One of these should focus on how data and data infrastructure is used to shape governance decisions. When searching for a name for this to start applying for a small grant to finance these workshops, we though about “Governing by Data”. We were so happy to have such a nice name for it that we did not notice that we were not the only ones to use a title like that. Bettina Heintz (2008) used “Governance by Numbers” as a title for a paper on science regulation. Statistical and other quantitative techniques form an important means of planning and rationalizing large-scale policy measures in many welfare states. Such “hard facts” are gathered by state-sanctioned actors, such as scientists, urban planners, bureaucrats, and other interested parties, using the data-collecting systems and tools of their trades. Numbers and models produced by such techniques are enlivened through forms of representation and circulated. This panel looks for ethnographic approaches that address questions like: How is the exquisite complexity of everyday life translated into exact figures and “rational” planning methods? What happens when data is represented in graphs, charts, and drawings or embedded within scientific articles, policy reports, and future-oriented blueprints for action? As contexts change and scales shift, what do the numbers mean, and to whom? While quantitative data is used in tandem with many forms of government, it has been particularly important in the context of welfare states, where the social well being of the citizenry at large may be in tension with concepts of liberty for the autonomous individual. In the welfare state, in other words, the ability to “point to the numbers” has allowed those who govern to provide their publics with empirically-supported reasons for both mundane and radical interventions into everyday life. Yet scientific methods and standardized urban plans work within moral systems of both care and control. Through practices of counting, classifying, and measuring citizens and their spaces, planners, scientists, and bureaucrats act as intermediaries between the welfare state and its citizens in relations that are abstract and intimate at the same time. Actors can also choose not to quantify and call the numbers into question on ethical or methodological grounds. Drawing in part on notions of governmentality, we ask how welfare states make their ideal citizens through measures that are supported by and circulated through such numbers and systems, and how a cult of the quantitative has often become a national project and a topic of everyday discussion for welfare state citizens themselves. This panel intends to produce an anthropological conversation between built environment and science studies approaches to research in contemporary welfare states. Broadly, we seek ethnographic work focusing on how the planner, scientist, or bureaucrat inhabits his or her official role in practice and how statistics, standardized planning models, and other logics of the state have come to function as truth-making tools, or their foils, in various forms of (welfare) state-making. How do these actors think about (and embody) the relationship between quantitative data and the qualitative opinions and actions of citizens? How do citizens respond to, help to create, and transform the numerical justifications of policy and complicate the mechanisms of the bureaucratic toolbox? We seek papers approaching these topics within the context of any welfare state and focusing on actors working within a number of different fields, including biomedical sciences, demography, urban planning, finance and economics, architecture and housing, engineering, landscape architecture and environmental design, auditing, law and law enforcement, national security, public health, education, and criminal justice. Join Jan-Hendrik Passoth and I (Nicholas J. Rowland) at this year’s annual meeting for Society Social Studies of Science (4S) meeting in Cleveland, OH (USA) from November 2nd until the 5th, 2011. Submissions and proposals are being accepted.